Straight lines were once deemed the realm of strict logic. This conduit design accomplishes something quite profound. 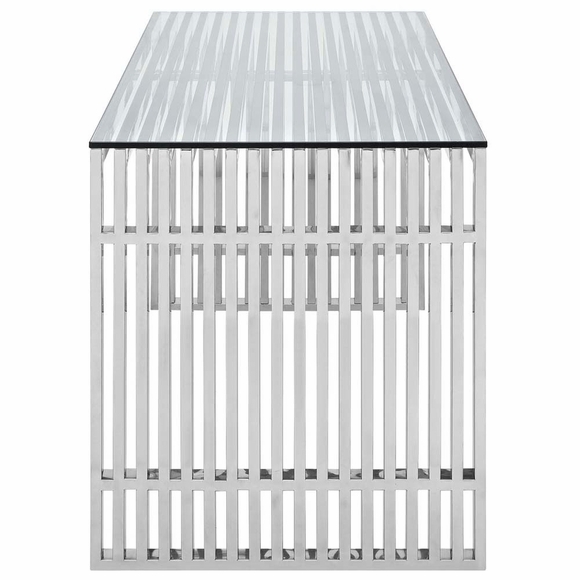 It blends linear components with a pleasantly stainless steel tubular effect. Modernism used to be about extremes. Wild shapes and patterns that don't dare resemble its predecessors. We've reached an age of maturity of sorts. We appreciate style, but all the more, we respect those designs that represent a blending of cultures. 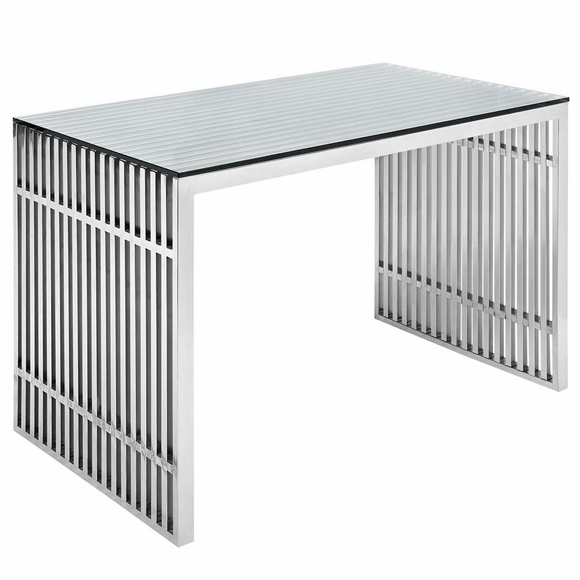 The Gridiron tubular stainless steel desk is famous not for its radical shape, but for the strategic transcendence that it provides work environments. 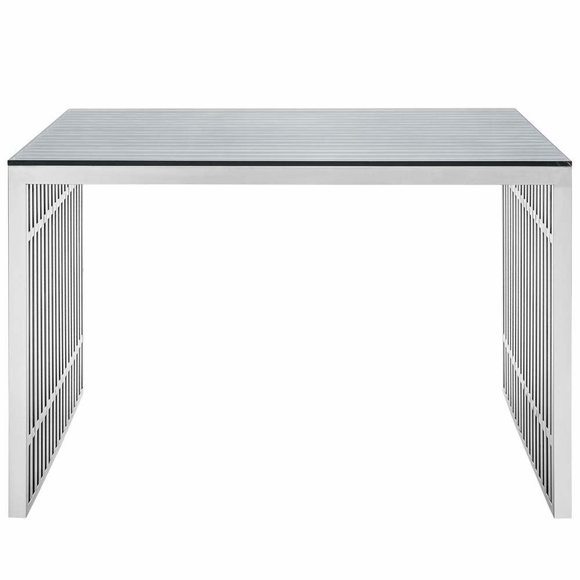 The Gridiron desk is perfect for home or office work spaces in need of transformation.